The Denver Race for the Cure will be this Sunday and over 50,000 people are expected to participate. A sea of pink will walk and run along Denver’s streets raising millions of dollars to assist in the fight against breast cancer. 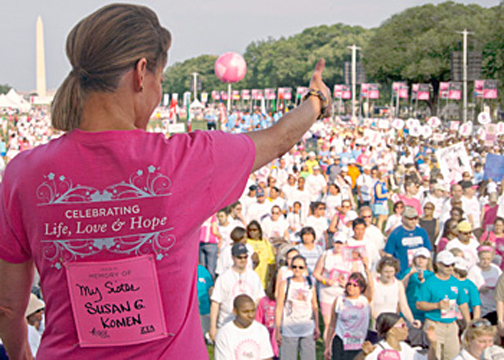 To register or donate please visit the Susan G. Koman’s website at www.komendenver.org. You can even register on Sunday, the day of the event. The race will start and end in the Pepsi Center Parking lot. This event is a great way to enjoy a beautiful fall day in Colorado while supporting a charity with friends.